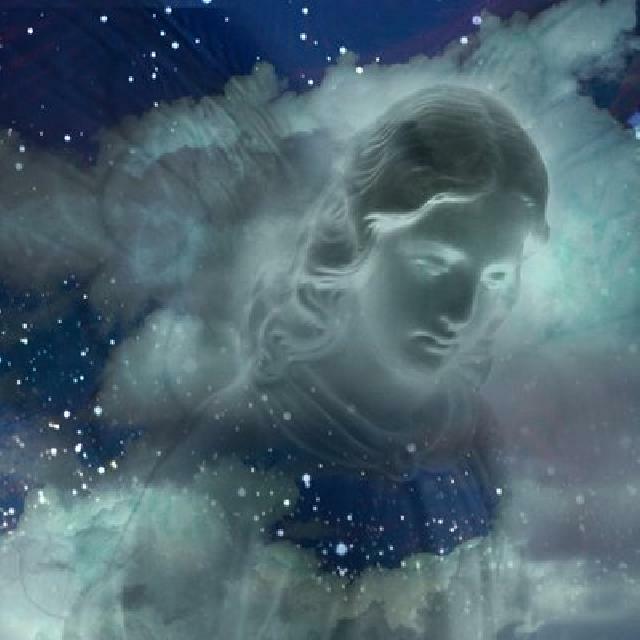 Angels are incarnating as human beings in this time period as never before. The veil between the ethereal realms and physical existence is thinning as the planet shifts into a finer vibration. Amariah has received information about such angels on Earth in personal guidance sessions some of which are relayed below. SOUL CONNECT READING through AMariah (2015) for 40 year old mother living in Port Angeles, WA. Evolution Path: (Overview of your soul development ~ places and species, as applicable) Developed through Angelic realms of planet Venus before Earth had sentient life. First as elemental being caring for plant life on early Venus and then as angel guide to Venusian humans that lived there long ago and are now 5-6 dimensional forms. Became an Earth angel guiding human beings and have done so since. Incarnations: (Most pertinent species or Earthly incarnations) This is first incarnation into a physical form. Memories of other human experiences would come from knowing them as their angelic guide. Highest Level of Development/Species: (Current most evolved form/dimensional awareness) Angelic realm exists in the 11th dimension. Soul Character/Motives: (Personality or driving motivations) Your soul has always existed as a strong feminine energy, but as an angel, you also have a masculine counterpart called Anjel. Together your energies are a pure nurturing and enveloping love. You have been guides to humans who are damaged from lack of feeling cared for and loved in their lives. Soul Inclinations/Abilities: (Areas of interest or prominent activities) Your angelic soul has the ability to infuse pure love into environments, things and beings that comforts those that experience it into knowing they are loved and that all is well. This Life Incarnation Purpose: (Your soul motives for incarnating in this current life) You simply desired to know the challenges and pleasures of a physical incarnation and to feel relationships first hand, especially that of having a family and a child to love. You will have a choice as to whether to continue incarnating on a new soul path or to return to the angelic realm after this life. This new path offers creativity and free will, but with this you can choice darkness as well as light, so it is most challenging. This Life Incarnation Challenges: (Difficulties you face in this incarnation) Your greatest challenge is to settle in to simply being in the human experience for its own sake and not expecting it to be more than that. You are here to experience the love that you are in physical reality, but it is not as easy to see and know it as it was for your angelic self with so many distractions. Current incarnation Species DNA: (DNA influences in this life) Your family bloodline has strong Pleiadian genes dating back to Lemurian cultures. This part of you will find solace in nature. That DNA, combined with your having been elemental beings, allows you to also connect with fairy life. Soul Message: (Guiding message or mantra from your over soul) Allow your angelic soul to guide you through with love in everything you do. Surround your experiences in the shimmering white light of your angelic wings. 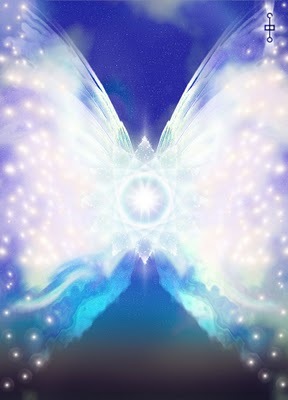 Soul Connect Symbol: (Image to use for connecting to your over soul) Your angelic color is all colors combined into what we see as pure white light. Angelic flickering white light energy wings can be a symbol for you to connect with the truth of who you are and allow you to feel the purity of the nurturing love energy of the 11th dimension. Hello. I am your guardian angel, Muriel. But, I am not only this as I am also a fellow angel and close companion to you in the angelic realms. You see, you are an angel too, that has chosen to experience a complete Earth human incarnation with the mission of helping to bridge the widened gap that has occurred between human beings on Earth and their angelic guides and messengers. Your angelic name is Kadriel. As the energy shifts on the planet and she moves into her next dimensional octave, the angelic and physical worlds are becoming less separated and it is easier now for angels to be in human form for longer periods of time. Still you come to this incarnation with the same purpose that we angels have as beings of light; that is to be a messenger, guardian and bridge to the Source consciousness or light of the universe. We are the beings throughout the universe that remind all other souls of their connection to their divine source. And this is what you came to the difficult incarnation mission to do as a human. In this human time of much darkness there exists a mighty contrasting force of light that is ready to move the awareness of humanity and Earth forward to see more of their light. You, Kadriel, bravely set out to be in the trenches and help remind human’s of their helpers, the angels so they can join with us again to become more connected to universal truth. You are attracted to Kabbalah because the Aramaic is the language that we have spoken to communicate with humanity, and it holds our energetic light within. You have the capability to communicate with us, being as you are one of us, so that humans can know that we are there around them always to help, guide and protect them from going down roads that lead away from awareness. You most certainly can hear us if you open more to the truth of who you are, hence the purpose of this transmission. It is time for you to open to who you are so you can help bridge the gap that can soon be closed, for those that are ready to see. You can also see us. As you know we are beings of light and often appear as having energetic wings and often in the image of those that we care for, in this case human beings. We can also put our energy into objects and other life forms in order to send messages. You can learn to see our energy within things and beings, and help others see the messages for them and train them to see for themselves, as objects, words, etc. light up when we are trying to get attention in that direction. Sometimes we are seen as orbs of light. Ciao! Ci conosciamo. Sono contenta. Vi ho trovati dopo tanti anni. An Angel friend needs help, Can anyone help? Someone with 4th dimension abilities or higher needed to help Angel friend please. dream place. Pleiadian friend. Hi dcwtech, My husband and I are Angel Incarnations, he can use his spirit dragon, Angel self 5D and we do psychic healings and exorcisms. His on fb & Youtube Archie Warren. looking 4 more Angel incarnations like myself.